Why is anatomy so difficult? I call myself a character artist because I love creating characters in both written form but especially drawn out on paper (or in pixels). Whether it's human or animals that you draw, anatomy gives us all a pretty hard time. Perhaps part of the reason I like drawing monster designs is because I can get away with some, not all, but some funny looking anatomy. I asked a couple of artist friends the same question. Our friend Sergle, who I interviewed here on the blog, said that it might be because we have a good visual memory of what the body looks like but it's hard for us to process that from our brain to hands in pen strokes. RaeAnne, our part-time host from the podcast had a similar answer. That we see it (anatomy) all the time so we notice anything and everything wrong with it. And I have to agree with them both. Our brains are hard-wired to recognize the human face and form. So even the most subtle inaccuracies can stand out to us. Still, though, it’s not a satisfying answer. I doubt that if we had a good enough answer it still wouldn’t change the fact that the only way to master anatomy as artists is through hours of dedicated practice. So from here on, I’ll be talking specifically about human anatomy but all the tips I share can be applied to animal anatomy as well. I’ve mentioned before that part of the purpose of this blog is for me grow as an artist alongside readers. As I learn, I’m going to share it all with you. My intent is to tackle the biggest hurdle I can think of first. Yes, anatomy. Let's start with some great places to learn anatomy. Below is a quick list of some great sites to find poses. Each of these sites have a great library of poses to work from. They also have a great set up that lets you set up a timer that'll switch between poses for you. But you’re going to need more than a good stock of poses. I’m going to give you the most basic but most effective tips and tricks to learning anatomy. The first one is pretty obvious, but possibly the trickiest. That’s working from live models. If at all possible, sign up for drawing/gesture classes that use live models. Next best choice after that is to ask a friend or roommate. Maybe head out to park and sketch people there. At the very least, grab a mirror. I know I’m saying this after I just listed those sites above and the sites are great but you’ll learn so much more from live reference. My next tip is to grab some paper and dig out some pencils. Most of the artists I know personally, along with myself, very seldom touch traditional mediums anymore. But trust me on this one, I’m not the only person to recommend this. So let's dig out that neglected sketchbook and maybe buy some new pencils as an incentive. Below are the sketchbooks I’ll be using over the next few weeks to practice anatomy. We’ve got our models or stock poses lined up and we’ve got our materials ready. What’s the plan of attack? Gesture drawings and detailed studies. Hard to say which to start with because I’m not sure whether starting with either or will be that effective. I do know that you’re going to need to implement both. Gesture drawings are simple but they might actually be more difficult than detailed studies. With a detailed study, you’re focusing on recreating what’s in front of you. Lines, shapes and structures. In gesture drawing, you’re trying to capture the movement and flow of the body. Here some of my gesture drawings and a couple of detailed studies I did a long while back. 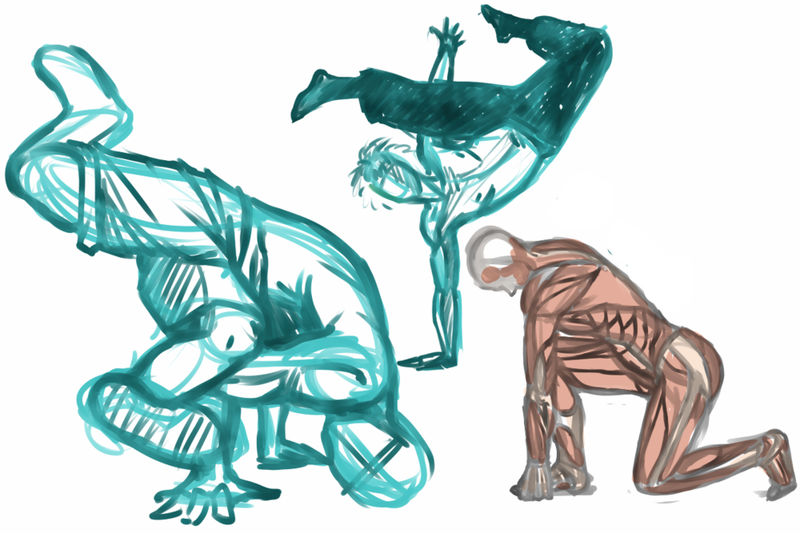 Now, for gesture drawings you want these to be quick. Don’t spend a lot of time on each one. Set a timer. What I’ve done in the past is start with 30 to 60 seconds per pose. This is a great way to warm up. After about 15 or 20 poses, extended the time. 3 minutes, 15 minutes, 30 minutes and work up to a good 60 minutes. It's when you get to the longer times that you should be doing your detailed studies. Which brings us to the fact that we need to make time for this. 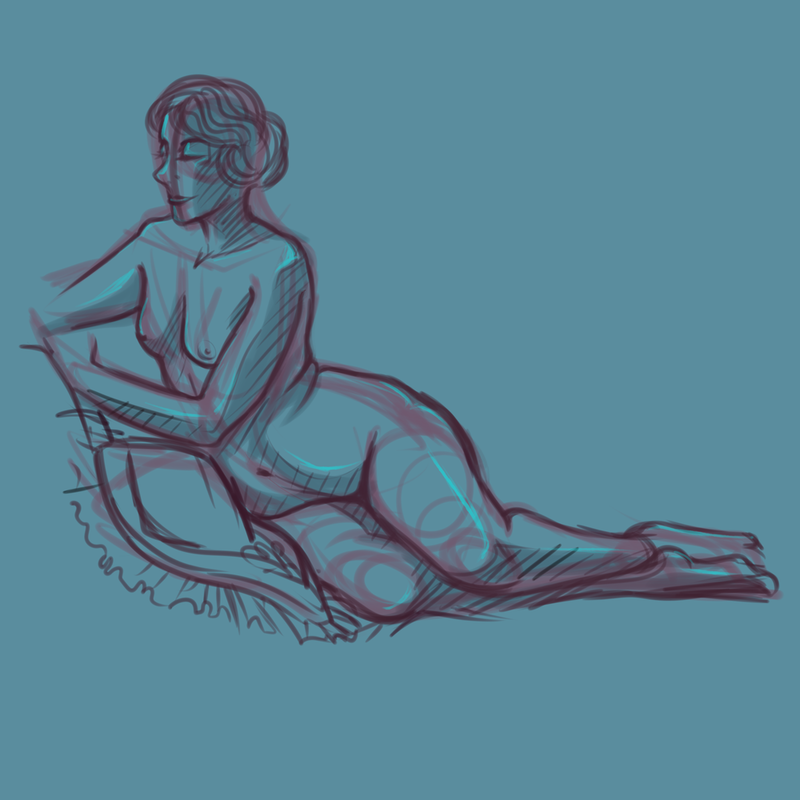 Time is vital and we’re always short on it, but if you’re committed to mastering anatomy and becoming a better artist you need to set aside some time for practice. I mean every 2 or 3 days if not daily. Once a week might be easier but you are not going to make the progress. If once a week is all you’ve got, though, hey that’s still better to than nothing. Really make an effort, though. Whether its anatomy practice or just drawing in general. Practice your craft. And with talk of time comes our last tip, perhaps the one thing you’ve heard all your life. Have patience. Or maybe, better yet, have endurance. If you really devote the time, you will see improvement. It’s just a matter of having the patience, the endurance, and dedication to stick to it. So with all that said, I want to share one last thing with you. I came across this, SirWendigo’s Anatomy Lessons - How To Improve Faster In 6 Steps. It's essentially a self-study course you can work through on your own. Over the next few weeks to a couple months, I’ll be going through it myself. So I encourage you to do the same! You can share your own progress with me on Twitter @DeadEndReyes and @witchhourhorror. And let me know what you think the answer is to our question, “Why is anatomy so hard to draw?” Or let me know what’s the most difficult part anatomy is for you. For me, it's always feet. Feet and toes!